Exciting News!!! Unicorn Smasher Pro V1.2 is dropping, so let's have a look at some of its fantastic new features. New Regions – US, UK , DE, FR, IT & ES regions are now all fully available. View the corresponding Alibaba product page for displayed products. Compare prices and stay ahead of your competition. That's all for now. Our dev team is working 200% right now so expect many more updates in the following weeks. We receive hundreds of emails every month regarding features users would like to see implemented. If you would like to have your say then please contact us at [email protected], we would love your feedback. 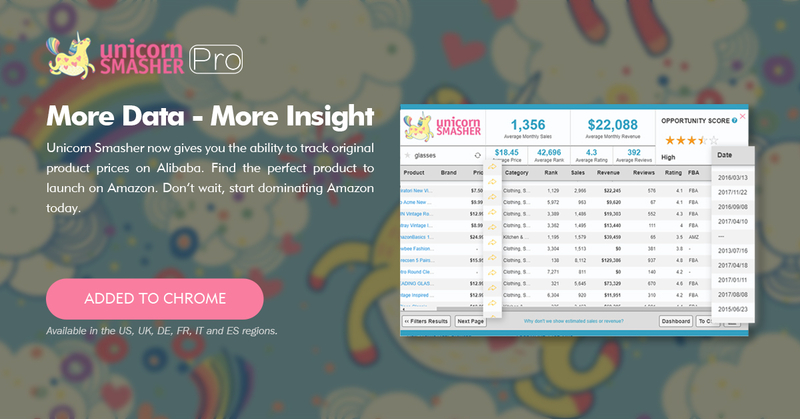 Let's grow together and make Unicorn Smasher the best product research tool on the market!